What follows in this essay is a narrative and summary of the online marketing strategy as it will be implemented for Namshi and their online e-commerce portal. Of course, e-commerce is the present as well as the future and thus Namshi will want to make sure to have an e-commerce portal that has all the right facets and parts, including the right marketing. The items that will be included in this broader plan include the strategies and tactics that will be used to achieve the desired objectives, customer service/loyalty avenues, timeline for the promotion strategies in question and what the future holds when it comes to all of the above and beyond. In assessment, build work Assignment 2, taking a step develop e-Marketing Strategy. However, assignment, work individual produce individual report, building group work Assignment 1. The task assessment guidelines detailed . In this assessment, you build on the work that you did in Assignment 2, taking it a step further to develop an e-Marketing Strategy. However, for this assignment, you will work as an individual and produce your own individual report, building on the group work you did for Assignment 1. The task and assessment guidelines are detailed below. There are a number of key issues that Namshi must deal with as part of its online marketing strategy, in addition to its broader e-commerce strategy. The facets and factors that must be dealt with include how customers will be attracted and marketed to, how customers that have arrived will be retained and rewarded, the frameworks that will be used to provide excellent customer service, how Namshi will get their name out there in the markets that they exist in and there are also the compliance and ethical questions related to all of the above. Above all, online marketing and e-commerce is about usability and efficacy. If the strategy and frameworks in place to support the same are not what they should be, it will be reflected in the results and that must be avoided if at all possible. As far as the overall graphic design and presence of the website that Namshi uses, there is the structure of the site that is seen from its very onset and entrance and there is also the markets and realms that they operate in. Indeed, the entrance page of the Namshi page directs the user to select the Middle Eastern country that the shopper is from or that they want to shop for. At present, those options are United Arab Emirates, Kuwait, Oman, Saudi Arabia, Bahrain and Qatar. With that selection page and the ensuing page that loads when a country is selected, there is the common yet effective theme of a mostly white (or shades of white) page. A white background dominates the page with the menu bars and headers being a subtle gray. The presence of color, for the most part, is limited to the clothes that are being marketed and, to a lesser extent, the backgrounds of those same pictures. The verbiage and marketing text on the page is clearly catered towards the fact that Namshi is a site that caters to the Middle Eastern market. Upon entering the current version of the Saudi Arabia page, the very first major chiron that exists says “Your No. 1 Fashion Destination in the Middle East”. In terms and navigation and structure, the overall mapping is pretty basic and is common for most fashion sites. Indeed, there are links to one’s account, their “wish list” (items to possibly or definitely buy later), their “bag” (items selected for purchase), links to the different types of products sold and so on. This is extremely consistent with other sites. This is by design and the right way to go. There are ways to differentiate one’s company but moving away from norms and best practices when it comes to site design and navigation is not typically one that should be attempted (Namshi, 2017). The key and best way to measure the efficacy or lack thereof of a marketing strategy is to plan and prepare the campaign best on the prior and best information available. The campaign should then be executed. Adjustments can be made along the way but as much as can be planned and prepared for in advance should be the norm. Regardless, the sales and site performance of the site can be assessed for its positive or negative results. Sales performance figures are pretty basic to look at but site performance is a little more complex. Web analytics and so forth can be used to assess what pathways people take through the site, common complaints that they have, sources of problems or errors and so forth. Whenever possible, both the website analytics and sales performance of campaigns should be measured in terms of like periods and situations from prior time horizons. For example, it would typically be best to compare the fall shopping seasons for two consecutive years to see how they compare and contrast. In general, it is best to make a change and then compare the before and after. Regardless, the different nature and outcomes of the two periods in question have to be assessed completely and honestly. When it comes to the search engines and social media sites that could and should be used, Namshi should use a blend of search engines and tools that are specific to the Middle East as well as firms that are omnipresent in both the Middle East and the broader world in general. As noted in the prior work on this subject, examples of the latter would include Facebook, Twitter and Google. Search engines in particular have to be planned for in specific ways so that they are used effectively. For example, Google and similar search engines have specific algorithms and such that have to be accounted for and planned for so as to get Namshi at the top of results lists, and with the right perception and perspective in play. Other international or regional search engines that should be in play include Baidu, Yandex, Yamli, Eiktub and Yoolki. The last three of those are Arabic only but the use of those engines is necessary to catch both the English-speaking and Arabic markets. Both of those are integral to Namshi’s success and neither can be disregarded or forsaken. The ways to make the most use of those search engines and social media arenas is to purchase ads, purchase more prominent placement in search results, the use of keywords and other search engine optimization (SEO) tactics and tools to maximize the clicks that are generated due to more prominent placement and visibility that is seen in search engine and social media viewing when all of the above is done the right way. As partially noted earlier in this report, there is both a basic nature to the markets in question as well as a little complexity. Namshi, also as noted before, markets to six different countries. However, those countries commonly speak Arabic, English or both. Given that, the portals for each country have to be tailored to the norms, trends, laws and values of each country and they have to communicated in both English and Arabic in a way that resonates with people and that drives sales. The six countries in question, of course, are the target markets. The brand values will basically be the same for all of the countries and markets. It is all about being fashionable but with a Middle Eastern flair and culture vibe. 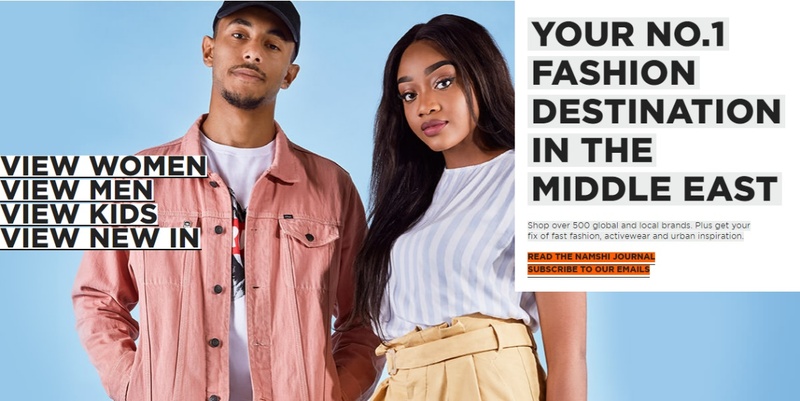 Keeping the message as homogenous as possible is a good thing in many respects but adjustments must be made from country to country and from culture to culture as is necessary to drive sales and remain culturally sensitive. To state the obvious, target markets would be the groups and clusters of people that would be focused on dressing well and fashionably. This would obviously skew towards younger people and generations. A huge bulk of the people involved would range from their teen years to their mid- to late 30’s. Women would obviously be more interested, comparatively speaking, than men. However, both men and women in their teen years or early adulthood will be the most target-rich demographics. The leveraging of owned, earned and paid media all at the same time as part of a comprehensive and exhaustive marketing strategy. This is the overall approach and goal of what Namshi is and should be doing. Linkages between social media, Namshi blog, Namshi shopping portal, etc. The future for Namshi is pretty clear, yet also somewhat unpredictable and challenging. There will be things that are constant and static while there are other things that will be unpredictable and difficult to predict. Namshi will have to have a game=plan well in advance for what is known and must also be able to adjust for what comes up at the last moment. In general, Namshi will need to be sensitive to the cultural, societal and legal implications of everything they do and say, both to customers and to the broader public. "Online Marketing of Namshi Essay." Aceyourpaper.com. Student Network Resources Inc, 8 June. 2017. Web. 18 April 2019. Student Network Resources Inc. "Online Marketing of Namshi Essay." Aceyourpaper.com. 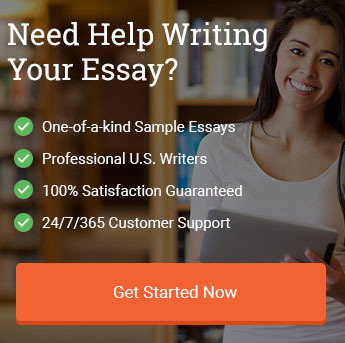 https://www.aceyourpaper.com/essay/online-marketing-namshi-essay/ (accessed April 18, 2019).